Last summer, we ran in to one of Britain’s indigenous snakes. 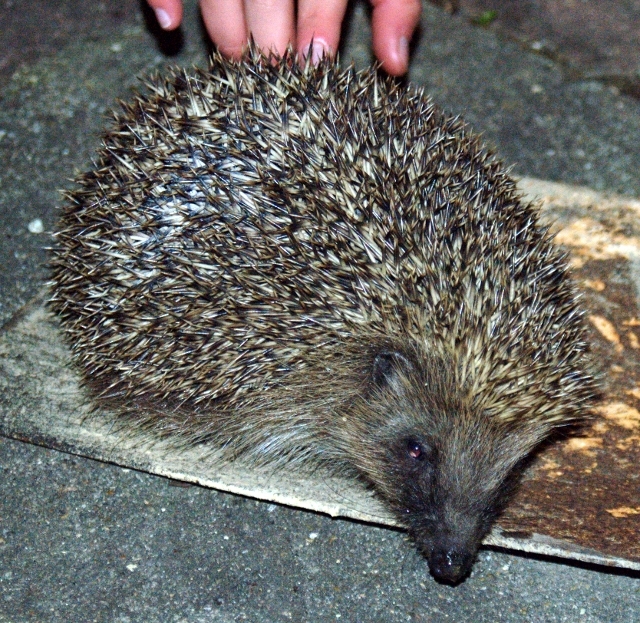 This evening, we returned from the local park at dusk and waiting at the end of our front garden path, overlooking the drop of the curb, was a hedgehog. 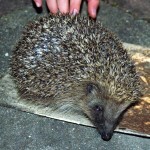 This was the first live hedgehog we’d seen since arriving 18 months ago, and the kids were ecstatic. 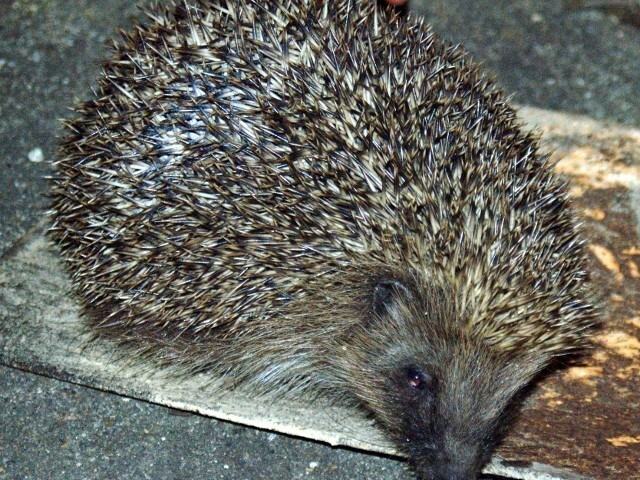 Using a shovel, we airlifted him from the danger of the road (throughout the year, we’d seen pieces of a few less fortunate hedgehogs on the roadside) to the safety of our back garden whereupon it sat for 10 minutes before scurrying off in to the garden shed. A brief argument ensued about what our new found friend should be christened. ‘Annabelle’ was the choice of our younger daughter, after one of her favourite literary characters, while the elder sibling opted, perhaps wisely, for the gender-neutral ‘Hedgie’. Later, we pulled out the nature books and took the opportunity to learn a little more about hedgehogs.